Students in Jan Young’s kindergarten class at Altmar Elementary School (AES) are dancing champions. The students captured first place in the “Promoting Dance In Our Schools” competition hosted by the New York State Association for Health, Physical Education, Recreation, and Dance (NYS AHPERD), Central North Zone. 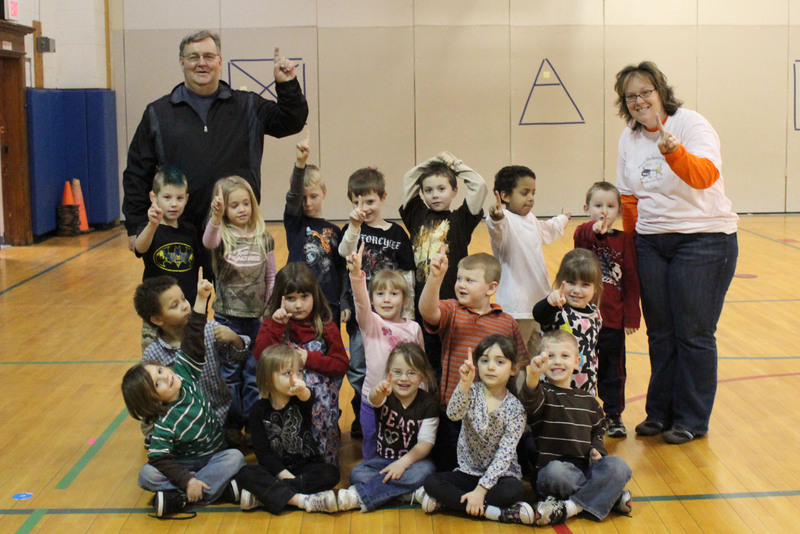 AES physical education teacher Jim Miller taught Mrs. Young’s students an interactive and freedom-of-expression dance called “The Freeze” for submission into the dance-off video competition. Mr. Miller was presented with the team’s first place award and $100 cash prize at the NYS AHPERD conference in early March. The first place team is pictured with Mr. Miller and AES Librarian Krista Alsworth who was the videographer for the team.